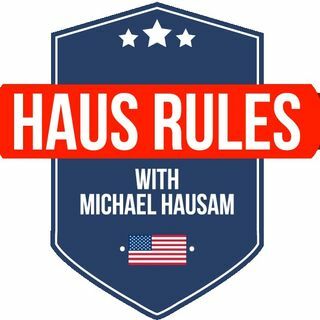 Michael Hausam is a father, writer, commentator, radio host, and business owner based in SoCal. His website is www.HausRules.us and can be followed on Twitter @MPHaus. Featuring Christian Toto, founder of http://www.hollywoodintoto.com. Summary:Those words kept speaking to me as I considered the next step in my writing career. Andrew welcomed an open and feisty debate. He championed those who wanted to use New Media to let their voices be heard. And so Hollywood in Toto was born. This site reflects ... Más informaciones both what’s missing with online journalism as well as what works just fine, thank you. HiT features reviews with a purpose. When you finish reading one your gut will know whether you should waste your time on that movie, show or album. Our interviews avoid fluff and ask tougher questions of the people who entertain us for a living. You deserve nothing less. HiT is influenced both by conservatism and a sense of fairness. We welcome friendly, impassioned debates on the cultural matters of the day. And when Hollywood takes a lazy swipe at paying customers who happened to hold views outside the left-of-center consensus, we aren’t afraid to step up. We respect the creative process, but sometimes it doesn’t feel like Hollywood is playing fair. Tabloid headlines, sadly, don’t make the cut. You can find the latest Justin Bieber news at dozens of sites across the web. Have at it. No judging here. Just make sure to hit the “back” button on your browser to see what else HiT has in store.